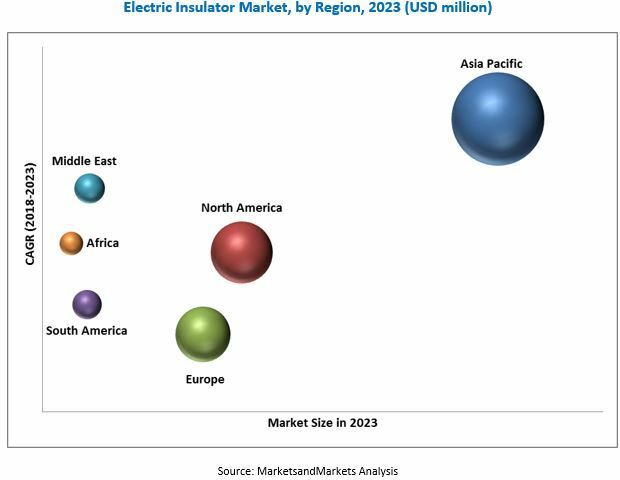 [152 Pages Report] The global electric insulator market was valued at USD 9.71 billion in 2017 and is projected to reach USD 13.34 billion by 2023, at a CAGR of 5.58%, during the forecast period. This research study involved the use of extensive secondary sources, directories, journals on power generation technologies, and other related rental markets; newsletters and databases such as Hoover’s, Bloomberg, Businessweek, and Factiva to identify and collect information useful for a technical, market-oriented, and commercial study of the global electric insulators market. The primary sources include several industry experts from the core and related industries, vendors, preferred suppliers, technology developers, alliances, and organizations related to all the segments of this industry’s value chain. The research methodology has been explained below. Major players operating in the electric insulators market include ABB (Switzerland), GE (US), Siemens (Germany), Toshiba (Japan), and Aditya Birla (India). 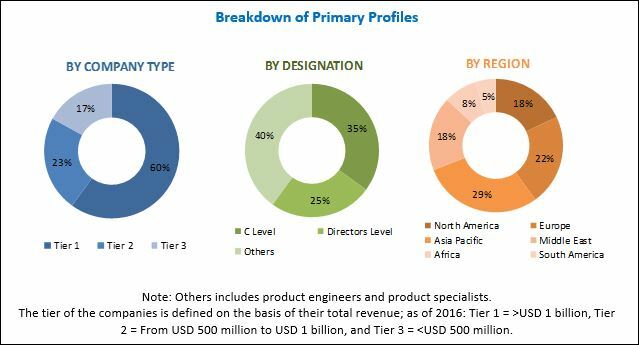 The global electric insulator market is projected to reach a market size of USD 13.34 billion by 2023, at a CAGR of 5.58%, from an estimated USD 10.17 billion in 2018. Increasing investments in T&D networks, refurbishment of the existing grid networks, and growing adoption of renewable energy sources are some of the major drivers of the electric insulator market. Increasing investments in smart grid projects and HVDC transmission methods for long-distance transmission could act as the opportunities for the electric insulator market. The report segments the electric insulator market, by type, into ceramic, composite, and glass. The ceramic insulator segment is expected to hold the largest market share in 2018 as ceramic insulators can perform in rugged environments with minimal leakage and provide optimum mechanical strength with considerable stress resistance. These advantages are some of the key factors that support the growth of the ceramic insulator market. The electric insulator market, by voltage, is segmented into low, medium, and high. The low voltage segment is expected to dominate the electric insulator market in 2018. Low voltage equipment are extensively used in commercial, residential, and industrial applications for various purposes; therefore, the demand for low voltage electric insulators is in-line with industrial and urban developments. Rise in electrical grid infrastructure spending and growing access to electricity in rural & remote areas of developing economies are driving the market for low voltage electric insulators. The report segments the electric insulator market, by application, into cable, transformer, switchgear, busbar, surge protection device, and others (auxiliary equipment). The transformer segment is expected to lead the electric insulator market in 2018. The growing demand for electrical equipment from end-users such as utilities, railways & metros, and renewables is expected to drive the electric insulator market. The electric insulator market, by end-user, is segmented into utilities, industries, and others. The others segment includes railways & metros, renewables, commercial, and residential. The utilities segment is expected to dominate the electric insulator market in 2018. The segment includes transmission & distribution utilities (both governmental and privately owned). This is due to increasing investments in transmission & distribution network globally and upgrading of aging technology in the developed nations such as the US, Canada, and Australia. The report further segments the electric insulator market, by category, into bushings and other insulators. Other insulators include line post insulator, pin type insulator, strain insulator, suspension insulator, and shackle insulator. Other insulators, such as the line post, disc type, and suspension type insulators, are generally preferred than bushings. This dominance is mainly seen due to the relatively high number of insulators used in T&D lines. This trend is also supported by the continuous and large increment in the global T&D line length. In this report, the electric insulator market has been analyzed with respect to 6 regions, namely, Asia Pacific, North America, Europe, South America, Middle East, and Africa. The market in Asia Pacific is estimated to be the largest electric insulator market, from 2018 to 2023. China and India are heavily investing in T&D infrastructure to meet the growing demand for electricity. North America is the second most lucrative markets for electric insulators as replacement and refurbishment of the existing infrastructure is the major requirement in the local T&D scenario. Meanwhile, Europe is another major market for electric insulators, since the concept of smart grid technologies is gaining momentum particularly among the European Union (EU) countries. A renewed focus on renewable sources of energy is being developed in countries such as Germany and the UK. These upcoming power generation sources are expected to push the growth of new T&D lines, which in turn would increase the requirements for electric insulators. Increasing availability of low-quality gray market products could act a restraint for the electric insulator market. The volatility in the prices of raw materials poses a major challenge for the electric insulator market. The leading players in the electric insulator market are ABB Ltd. (Switzerland), Aditya Birla Nuvo Ltd. (India), General Electric, Siemens AG (Germany), and Toshiba Corporation (Japan). Contracts & agreements are the most commonly adopted strategies by the top players. This was followed by new product launches.